Gaurav Malaker is a musician, DJ and producer and one half of BLOT!’s live audiovisual act. Together with Avinash Kumar, the duo focus on creating cross-disciplinary AV sets that blend dark, funk-influenced techno with responsive video samples. 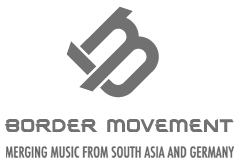 He is also a partner in Qilla Records, one of India’s leading underground dance labels. BLOT! release their debut album Snafu on Universal Music later this year, a collection of tunes that has already garnered high praise prior to release. and that brings together driving bass tunes, glitch-techno and starbursts of warm, blissed-out synth into a diverse soundscape.